Mid-Boss is back with more incredibly specific references! 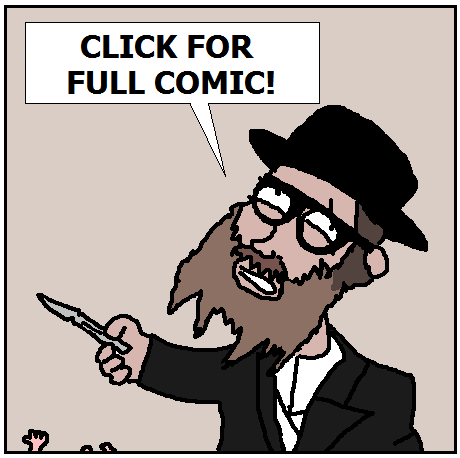 Hmm, I don’t quite get the non-jew part of this comic. The jew part is great though! Ah, the Metal Gear Rising tag… Raiden the Rabbi? Neal is Awesomer Than You. #7.